Energy conservation is often the most economical solution to energy shortages and is a more environmentally benign alternative to increased energy production. 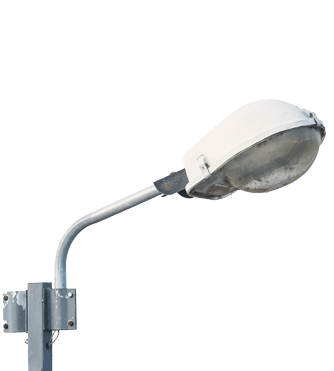 There is a growing demand and need to conserve energy amidst rising energy prices and demand supply skew to bring in efficiency in maintenance and controlled operation of public lighting systems, such as those found on streets and in public places. These efficiencies and cost optimizations/savings can be achieved by remotely controlling each lamp and managing its brightness according to the current need, upgrading lightning technology to improve life and derive energy and cost savings. ADD Technologies (India) Ltd.: Why are we in it? Comprises of Integrated Cabinet Housing Transformers or solid state devices (for voltage regulation), Switching Circuits, Micro-controllers, Energy Meter, and Intelligent Interface Unit (IIU) with GPRS modem.This is fitted on to the Switching Station (Junction box), which controls a segment of street lamps (up to 40-50 poles). IIU enables data storage, analysis and transmission to Server at Control Centre via GPRS. Software Web Based Server S/W is implemented and established for network management, recording and analysis of online data, generation of instant alerts and all reporting of events / failure, mains power availability etc. The ESU box is installed at every Switching station, and through the interface unit (IIU), it can transmit data to the central Server via GPRS. Data includes voltage, current and energy consumption, mains power availability (to check lights glowing), system failure etc. Voltage regulation can be programmed into the ESU to enable ‘dimming’ to eliminate waste and conserve energy. Likewise, On/Off timings can be configured through the Central Monitoring Station to ensure no wastage of light in unwanted hours. Energy Saver Units ensure better power management setting.